There's an art to getting lost in the mountains. A good hiker wanders the mountains for many different reasons. Some hike to find a workout, others to find a great photo. But seasoned hikers wander to find themselves. It's in the true spirit of alpine wandering that you find yourself ever lost and ever found. So leave your cellphone at home and get ready to experience the best hikes around this great big beautiful world. "Lace up your hiking boots, pack a sandwich and prepare yourself for a hike that, at eight miles, is a beginner in elevation, but intermediate in length. There are three bridges that cross the raging South Island waters. 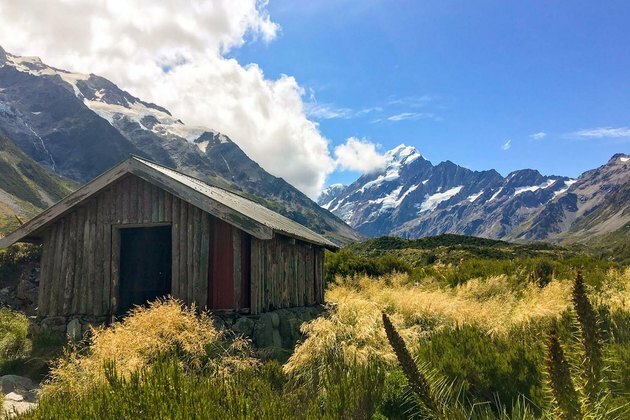 "While you'll pass beautiful views of the ice-blue Lake Pukaki and snow-topped mountains, it's not until you've crossed all of the bridges and round a curve that you'll be rewarded with the most enchanting view of Mt. Cook in all of its glory. The full hike leaves you at a glacial lake, the perfect place to break out your packed sandwich and enjoy the beauty of Mother Nature. This hike takes about four hours out and back." 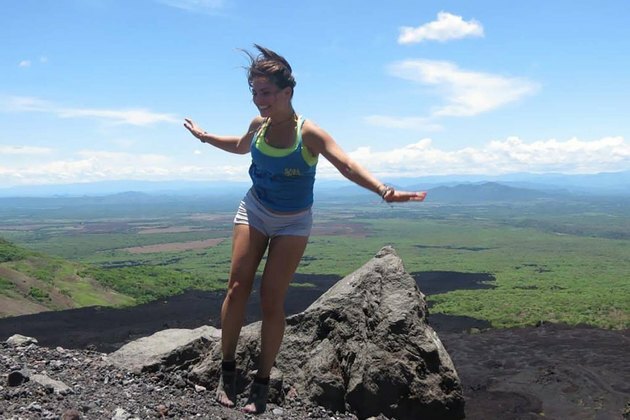 "[This is] the hike to Laguna de los Tres, and it's pure heaven once you actually get there! It's six miles to the lake. The first three kilometers are relatively steep until the trail flattens out; after that there's four miles with flat terrain and beautiful views of the peaks before you. "It's all fun and games until mile five and a half, where flat plains turn into an uphill battle of about 1,500 feet in elevation gain. 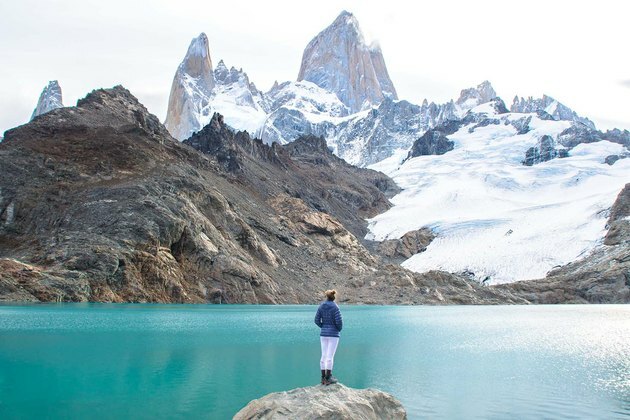 But when you finally reach the laguna, you'll experience one of the best views of Fitz Roy. This hike is 12 miles in all. With the total amount of hiking and time spent at the lake, it took us about eight hours total." "This hike can take anywhere from three days to more than a month, depending on how much of the hike you want to do. You can start the hike from almost any spot in Spain, or from Portugal, France, England or even Germany. All trails lead to Santiago de Compostela, Galicia. "The terrain varies depending on where you start, but most routes include mountains, rolling farmland, breathtaking cliffs and secluded beaches. 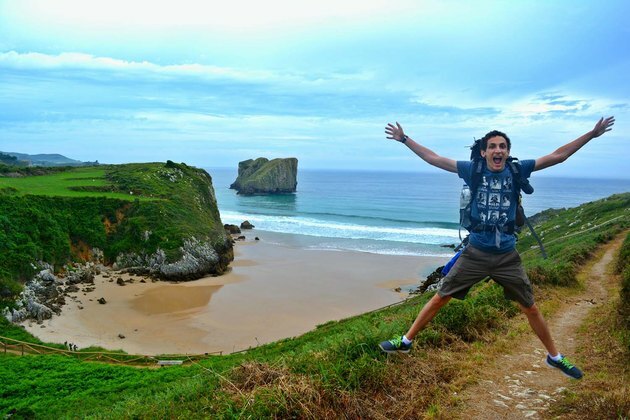 We walked the northern route from Llanes to Ribadeo, where the coastal trail ends. With views of the coast and the mountains, you can visit many different small towns across northern Spain walking along the Camino." "This area has many, many stairs through mountainous terrain, rocks, lush moss, trees and flora. This is a moderate-intensity hike. You need at least two hours to explore the trails and make it to the top and back, but it could easily turn into a half-day adventure. "Pack a lunch, and relax at a picnic table in the shade or sit on top of a rock at the very top and take in breathtaking views of the entire city of Taipei. There are a few entrances from the bottom and many different routes to take on the way up. 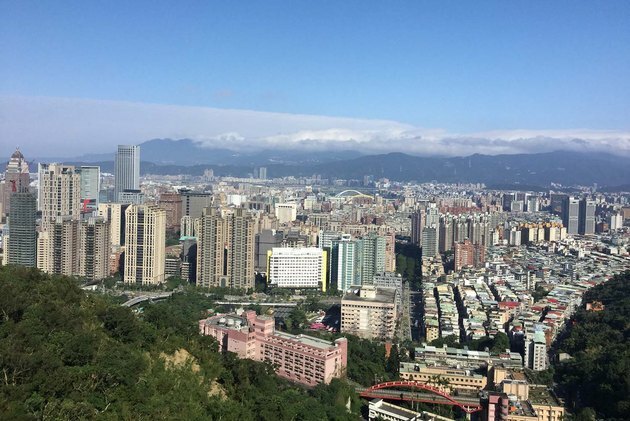 Elephant Mountain is like an oasis in the middle of a bustling city. The view at the top is stunning." "This hike is around the Fansipan, the highest mountain (3,100 meters) in Vietnam. It's uphill and downhill and muddy, but doable with good walking shoes. This is a multi-day trek. The first day is a nine-hour hike to a mountain village where you will stay, eat and enjoy the night with a local family. The second day is a 7.5-hour walk, mostly downhill, back to a lower-situated village. "While hiking, you will visit tiny mountain villages. From start to end, you will learn how the Vietnamese people live in the mountains. 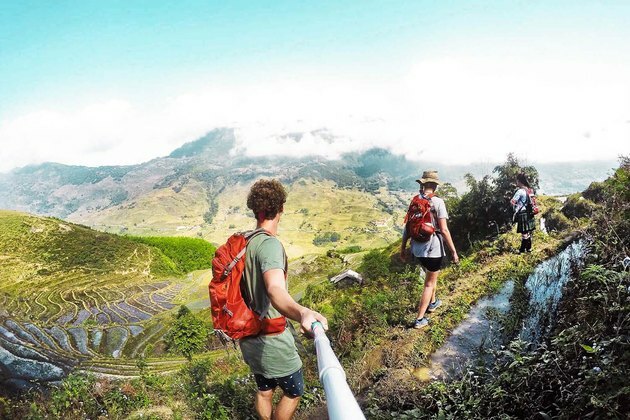 During this hike you will enjoy endless views of beautifully green rice fields in northern Vietnam." 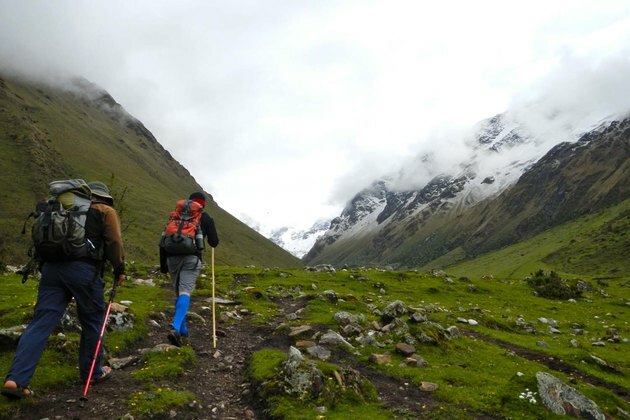 "The traditional Incan trail is the most popular route to Machu Picchu, but the Salkantay Trail provides a unique opportunity to disconnect from all things 'tourist.' This five-day hike takes you on a journey through incredibly diverse landscapes and varying altitudes each day. At the start of the trek, you climb to the highest altitude — the top of Salkantay Pass (13,000 feet). The snowy peak transforms into hundreds of waterfalls rushing over mossy boulders as you descend. By the end of the trek you are hiking through a thick rainforest." "There are over 900 routes along or up the mountain, giving you a wide variety of scenery, with more than 2,200 species of vegetation. The western-facing side of the mountain is much more dry, holding more of the desert-like conditions, and vegetation consists primarily of shrubs. 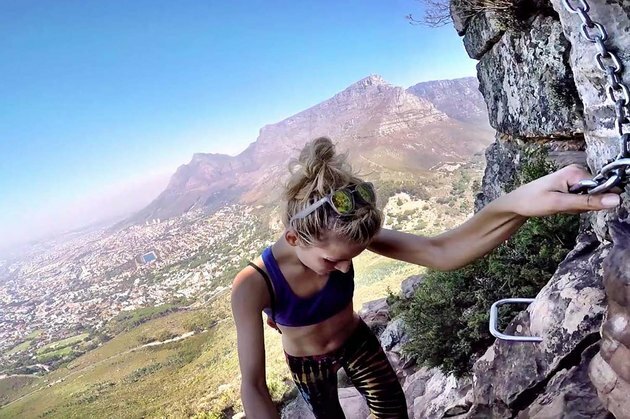 The eastern side of the mountain, home to the Kirstenbosch Botanical Gardens, contains trails of indigenous forests, ferns, waterfalls, ivy-infested rock walls and natural ladders formed from tree roots. "Depending on the time of year — and sometimes the time of day — a fog, known to the locals as 'the tablecloth' sometimes moves in and covers the top portion of the mountain. However, proper preparation and a weather check makes this easily preventable." 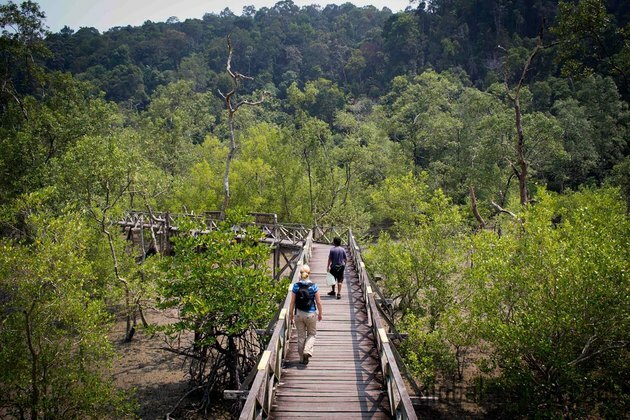 "As we trekked through the park we encountered a range of terrains, from soft, sandy mangrove forests to steep, rocky paths to dense vegetation to wooden walkways built over marshy ground. The trails are well marked, and while many of them are flat, there were a few times that we were climbing up steep inclines. "There is a huge network of 16 different trails, so you could take a short walk or stay for a multi-day camping expedition and explore deeper into the park. We took our time, stopping a lot to watch wildlife and take photos. 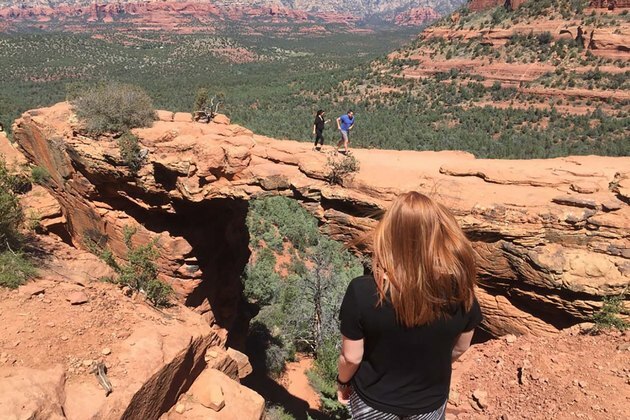 The scenery was gorgeous, but the most fascinating thing about this hike was the wildlife encounters." 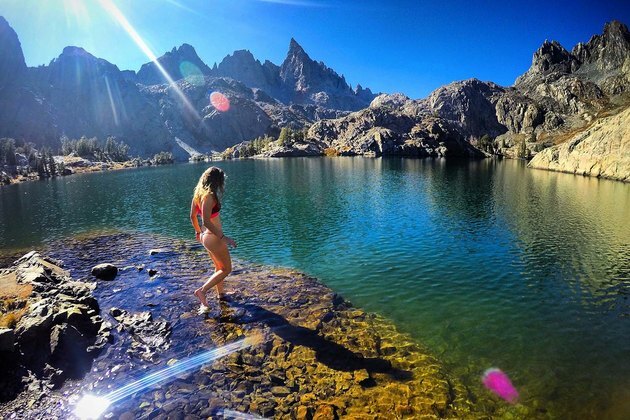 "This Sierra Nevada-based hike is an Ansel Adams wilderness special. This trail gets heavily snowed over in the winter, and the road to get to the trailhead is accessible from July until October. The hike starts off with Devils Postpile a half mile in. As you continue past Devils Postpile, you will cross over a rushing creek, pass through Johnston Meadow and follow signs for the John Muir Trail. The hike is a generous 16 miles out and back, with a 2,500-foot elevation gain. For a big loop, continue on to Cecile and Iceberg Lakes and return to the John Muir Trail at the shore of Shadow Lake." 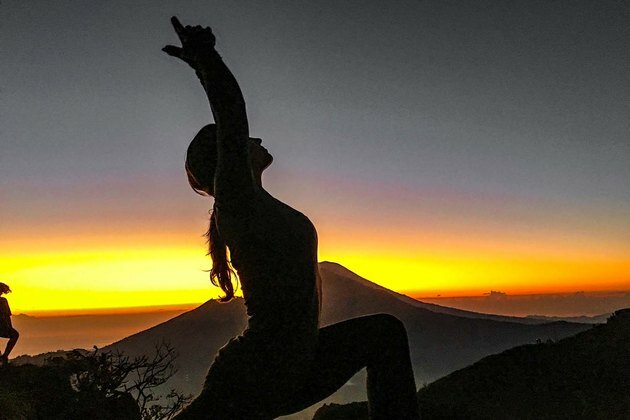 "There are few things as magnificent than a Balinese sunrise, but a sunrise atop Mt. Batur, an active volcano, tops them all. With an early 1:30 a.m. wakeup call (depending on where you're staying), you'll drive to the base of the volcano and begin your ascent with flashlight in hand and layers of clothing to combat the temperature at altitude. You'll climb to the top of Mt. Batur at 1,717 meters, where you can watch the sun rise behind the neighboring volcanic island of Lombok. On the descent, be prepared: the volcanic sand makes for a slippery saunter. The total hike is about seven miles out and back." "While visiting Kyoto, we were astonished as we ventured through the popular shrine of Fushimi Inari-taisha. 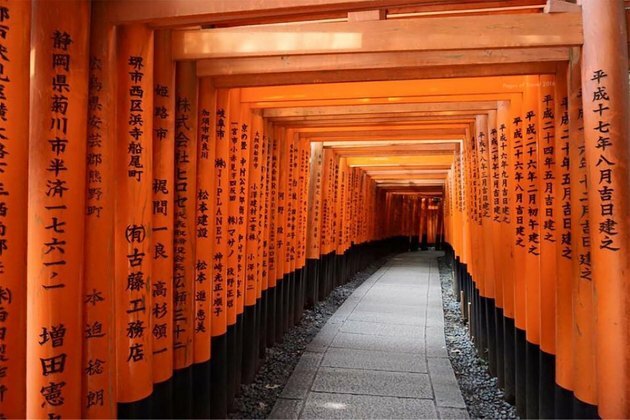 The beauty and ambiance of this shrine spans over a breathtaking 10,000 vermillion gates, or torii, that envelope a path that winds 2.5 miles up Mount Inari. Although the hike to the summit of the mountain and back to the gate entrance can take two to three hours, it is a mild hike, and there is so much beauty to gaze on during your ascent. While visiting, some locals told us that those who make the journey to the top are said to receive good fortune and longevity in life." 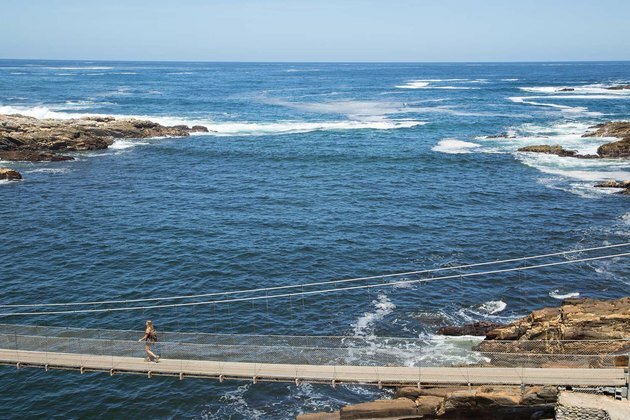 "Get up early for this one and beat the heat and the tour buses at Storms River Bridge in Tsitsikamma National Park. There are amazing views before you begin along the ocean, where the waves crash into the rocks, as well as picturesque photo ops as you cross over the river. You'll hike to the beautiful bridge (the easy part taking about 20 minutes or so). After crossing over, most people turn around and head back. Continue on up to the top for another leg-burning, StairMaster-inspired hike for another 45 minutes and make it all the way up to the lookout point." 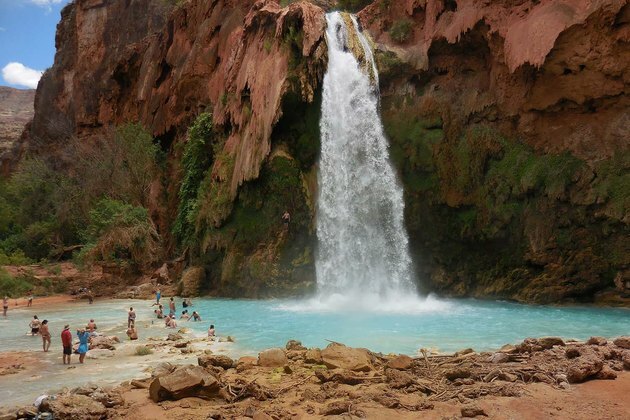 "An oasis in the desert, Havasupai will have you staring in disbelief and cement your addiction to the Southwest. To reach your tent site you will hike through switchbacks, up against canyon walls and finish with a mile of pure sand. Fresh water, restrooms and streamside camping make this 10-mile hike worth the effort. The next morning, put on your bathing suit under your hiking gear, pack a lunch and plenty of water and head a mile further down the trail to experience Mooney Falls, then on another few miles to Beaver Falls. The hike back is a demanding 2,400 feet in elevation." "There's something about the serenity, peace, zen and vibrant panoramic views that keeps pulling us back to this magical place. The 1.1-mile trail is rated as moderate and offers a little something for everyone. Even your dogs are welcome here, as long as you keep them on a leash. In the summertime, be sure to pack your bathing suits so you can take a dip in Cathedral Rock's Oak Creek or lay out at Buddha Beach nearby. 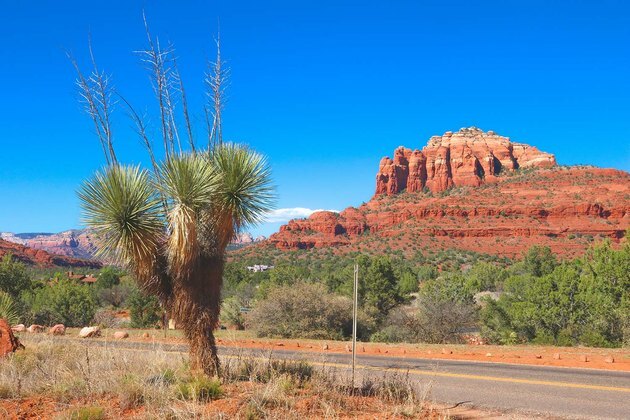 "Many people come to the city of Sedona because it is believed to be a spiritual power center for many years due to it's many vortices, which produce some of the most remarkable energy on the planet." 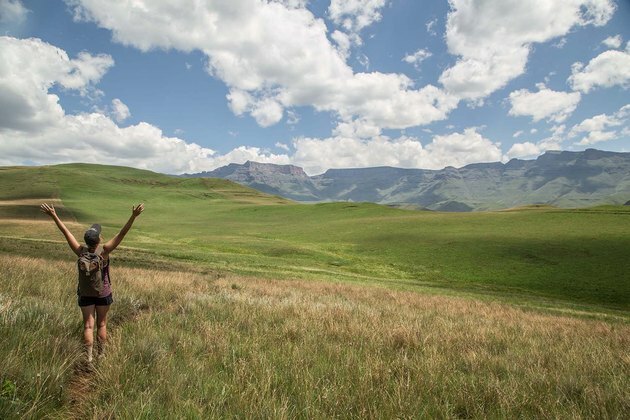 "A true hiking wonder, the Drakensberg National Park is worth every pothole (it's highly suggested to rent an SUV) along the way. This may be off the beaten path, but it's a hike that's well worth the effort to get to. You'll know when you've arrived as the road changes to smoothly paved to match the serene and what seems like never-ending views. If you're in it for the long haul, arrange a guided weeklong adventure. If you're just looking to get your feet wet on a day trip like we did, Giants Castle is a great option. It's quiet out here. Don't forget to bring your binoculars!" "To start this adventure, we carried our boards and began to ascend the 2,388-foot (728-meter) mountain of loose, black rock. The hike up lasts about 45 minutes, and ours was in 90-degree heat. Once you get to the top, you can also see off into the distance a row of volcanoes, and one was actually still spewing out lava. "The 360-degree views were absolutely breathtaking, and those alone are worth the hike, even if you decide not to board down. We continue on to the 'drop zone' where each person goes one-by-one down the front side of the black ash mountain. The ride down takes about three minutes total, and is such a rush!" "This trail from Agerola to Positano is one of the most scenic in the world and only takes around three hours to complete. 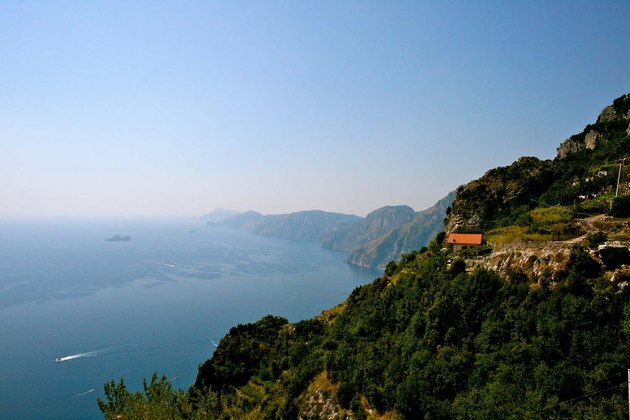 The hike starts high in the hills with breathtaking views of farmlands and vineyards leading to the sea. It's an easy trek in the beginning, but it ends with a 2,000-stone-step descent into Positano. Though this is some of the most beautiful terrain I've ever experienced, what makes this trek truly poetic is the story behind the journey. Legend says that 'gods came down this pathway to reach the sea, where the Sirens that seek to entice Ulysses with their singing could be heard.'" 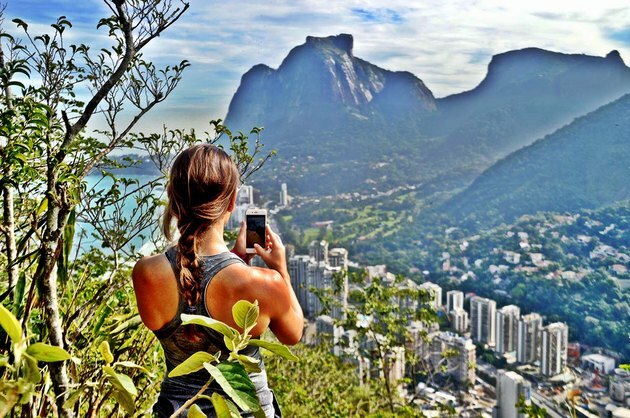 "The Dois Irmaos hike, or 'two brothers' hike, takes you winding up through the colorful Vidigal favela and into the monkey-filled mountains of Leblon, then rewards you at the top with sweeping views of the Atlantic Ocean. It takes about two hours to complete and is rated an intermediate level. If you'd like a shorter version of the hike, hire a moped for one to two U.S. dollars to take you up through the favela and directly to the start of the mountain. "In my opinion, the true adventure starts at sea level. Traveler tip: Don't take out your camera or phone while in the favela as you are walking through someone's neighborhood, and be respectful." 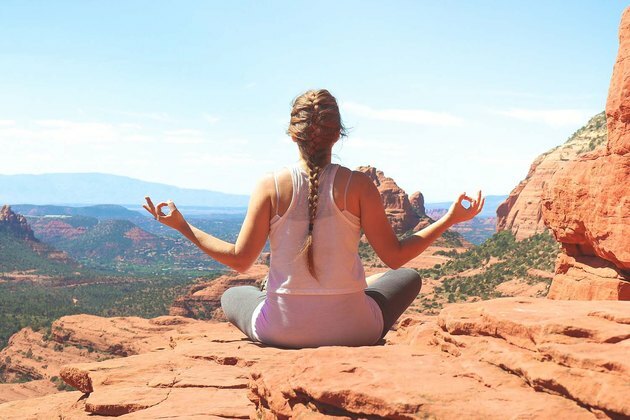 "Your two-mile round-trip hike will bring you through Sedona's natural red rock, stone stairs and switchbacks before the bridge presents itself like a stage. The 50-foot drop to the canyon floor is amplified by sweeping winds and a narrow final pass. Be sure to find the nicest stranger around you to negotiate picture-taking before you step out onto the bridge. On your way back, you'll have another photo opportunity with a plateau overlooking the famous red stone mountains that have people motivated to visit from around the world." 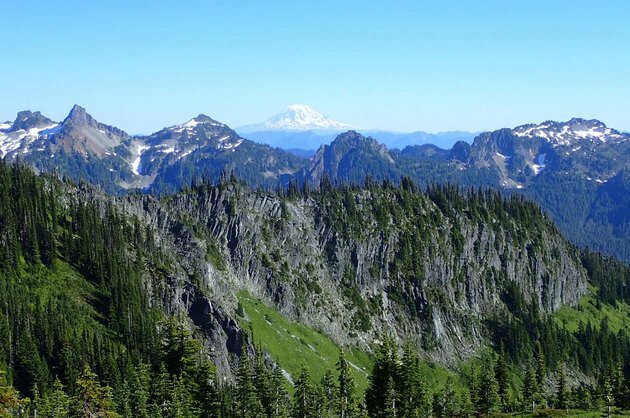 "Round-trip, this hike is about 10 miles, with an elevation gain of 3,000 feet. Mount Rainier is a prime destination spot, so make sure you begin your hike early (and on a weekday) as the crowds tend to get pretty thick and the parking scarce. Along the trail is Bloucher Falls, a gorgeous, three-tiered tributary falls totaling 124 feet. Follow the rushing stream uphill, and at 1.9 miles in and 4,875 feet above sea level, you come to the absolutely breathtaking Comet Falls. At 0.3 mile from the junction, a sign marks the end of the maintained trail at 5,850 feet: This is Van Trump Park! Views to the south include Mount Adams and Mount St. Helens." 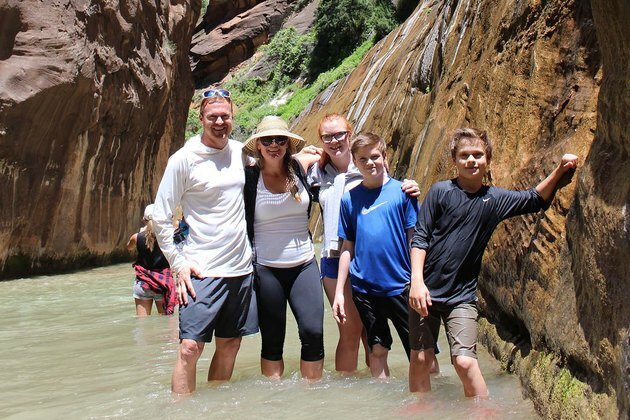 "You could explore the majesty of Zion National Park for years. However, if you only have a weekend, your number-one goal is to visit the Narrows! There are two ways to tackle the trek. For the advanced hiker, the "top down" hike is 16 miles and requires a permit. "But if you just want a taste of the Narrows, you might enjoy hiking from the "bottom up" and turn back when you're ready. Bringing (or renting) some kind of waterproof shoe and wading pant proves helpful, but they're not absolute necessities. By the time you complete this journey you will be soaking wet and have one of the best hiking memories of all time."